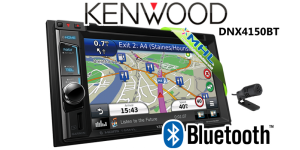 Clearance : Kenwood DNX7150DAB 7" Navigation, USB, DAB, Bluetooth. 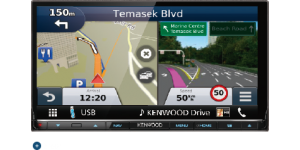 Kenwood DNX7150DAB 7" Navigation, USB, DAB, Bluetooth. 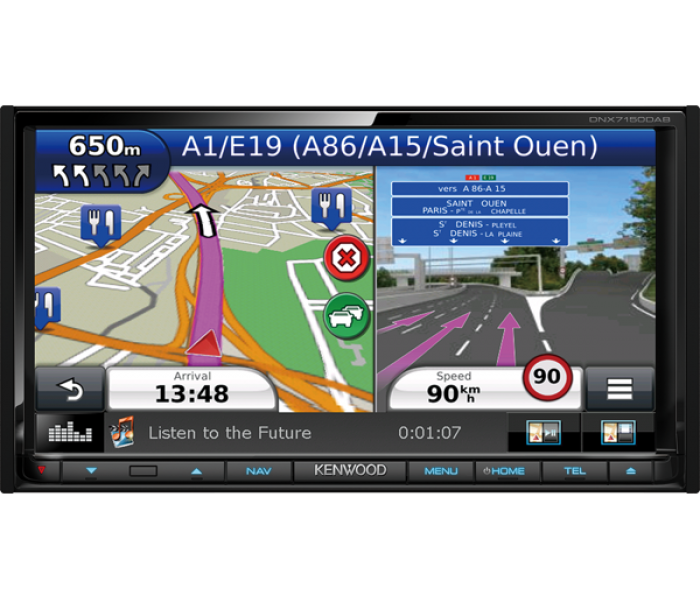 Kenwood’s DNX7150DAB multimedia receiver includes a 7" touch control screen with Garmin European navigation, DAB radio, Bluetooth hands-free calling, SD-card, iPod/iPhone direct control and DVD/CD playback. 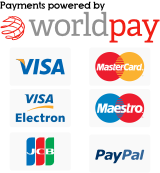 All these features are control via an easy to use 6” touch screen. Map Coverage includes Andorra, Austria, Belgium, Croatia, The Czech Republic, Denmark, Estonia, Finland, France, Germany, Gibraltar, Greece, Hungary, Iceland, Italy, Kosovo, Latvia, Lithuania, Liechtenstein, Luxembourg, Monaco, Montenegro, The Netherlands, Norway, Poland, Portugal, The Republic of Ireland, The Republic of Macedonia, San Marino, Serbia, Slovakia, Slovenia,Spain, Sweden, Switzerland, Turkey, Ukraine, the Vatican City and the UK. 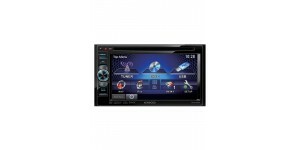 Kenwood DDX-3023 Double din 6.1' Multimedia receiver, th.. 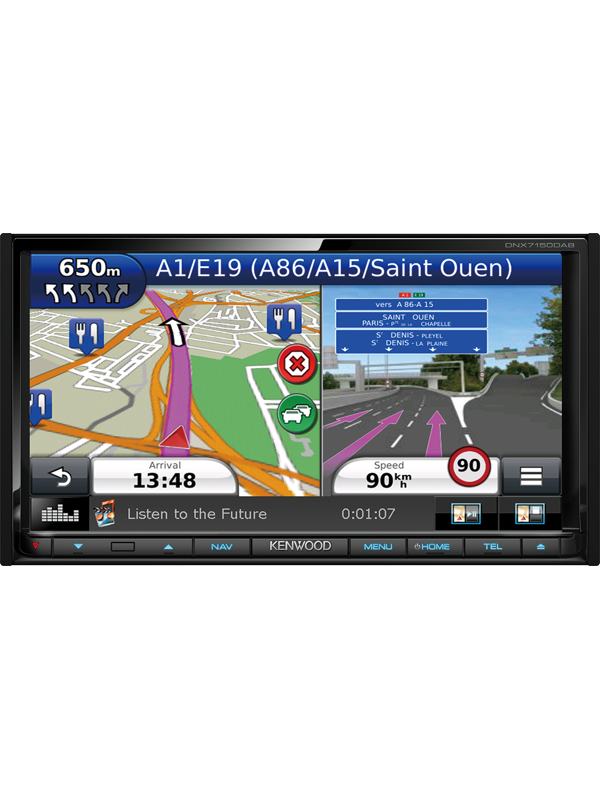 Introducing the first multimedia system from Kenwood Electro.. 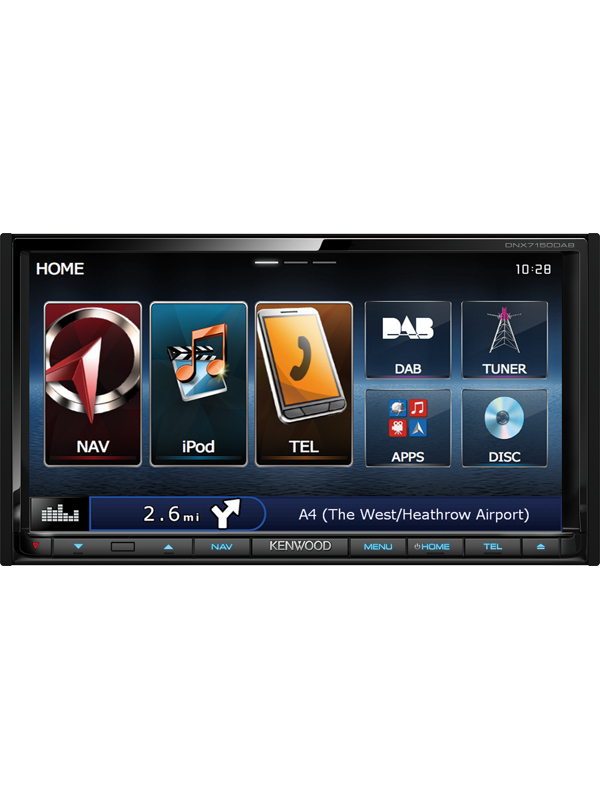 Details Kenwoods new DNX4150BT Double Din 6.2" Tun.. 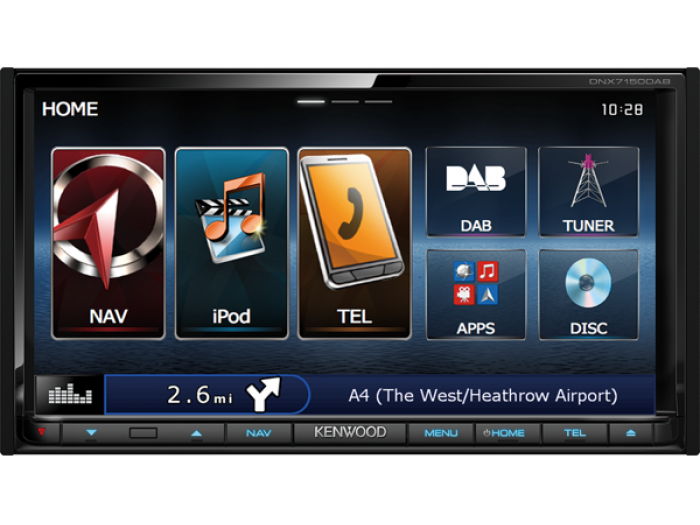 The DNX8160DABS comes with Apple's Car..